I am English but have lived in Boston, USA for over 18 years and spent many years in corporate life before a bout of leukemia gave me the perspective that I really could give back so much more; I have spent and enjoyed the last five years in non-profits. Currently, I am just pursuing the ownership dream and looking forward to having the time to follow Bay of Freedom. I love racing in Ireland and have visited 19 (of the 26) courses as well as the majority in England. 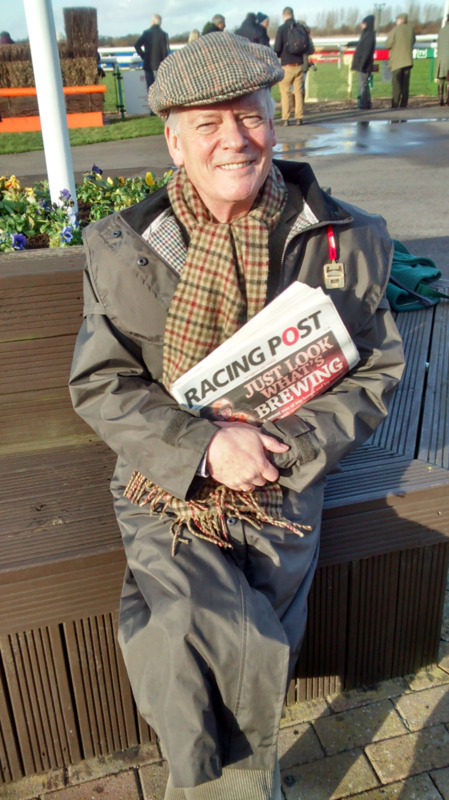 Having a horse and watching it run at any course is very special but I have been going to the Cheltenham Festival since 1989 and the ultimate dream is to have a horse running there with half a chance; that would be one emotional day! Kim (who is American) has been my wife since May 2011. We worked at the same company but only met at one of my leaving parties; the rest is history. She says she has little interest in horse racing but after going to Listowel to watch Bay of Freedom's first race I genuinely think she has got the bug! In any event, she is incredibly supportive, is our main bread winner now, loves Bay of Freedom, has a crush on Peter and Ber and thinks Ireland is a wonderful place (September was her first trip). Peter's family is ingrained in horse racing. His mother, Maureen, has owned many horses and given birth to more children. - I will let you know when we've finished counting them but they're all involved in racing in some way. Peter was a successful amateur rider and has been training for about five years, having spent some time in California with Ber (working at race tracks obviously). He is passionate about racing and is very knowledgeable; he is also very well respected within the racing community and with good reason. He has trained some very nice horses (Shop DJ and Owega Star among them) but like all of us, he is waiting for that one horse which will really put him on the map. Ber's as rooted in racing as Peter. Her father has been Head lad at Jessie Harrington;s for many years and her brother, Andrew (Leigh) is an accomplished jockey. They have two children (Kate and Conor) and are expecting number three in February. Their incredible ability around horses is in inverse proportion to their competence around paperwork and administration (except when it comes to making enteries; they never miss a beat then). They are as enthusiastic and can dream as big as anyone - could not have a better trainer! To say I was delighted to have Katie ride Bay of Freedom in his first two races is an understatement. She is, of course, the sister of Champion Jockey, Ruby Walsh, and the daughter of Ted Walsh (jockey, trainer, television pundit and nemesis of John McCririck) but Katie is a talented and successful amateur jockey in her own right. She has won several top races in Ireland and at the Cheltenham Festival against the professionals. Widely admired she is also known for her forthrightness and honesty when it comes to horses; she was the ideal person to tell us what Bay of Freedom was really like after his first run.